The CleanFinancial.com guide to Dow Jones spread betting. Where Can I Trade the Dow Jones for Free? Where Can I Practice Trading the Dow Jones? How to Spread Bet on Dow Jones Futures? Note: Rather than being called the Dow, Dow Jones or Dow 30, in spread betting and CFD trading, the Dow is often called 'Wall Street' or the 'US 30'. Note that you might be able to take a position on the Dow Jones on other websites. The latest COT Report (Commitments of Traders) for the Dow Jones futures market has been released by the CFTC, please see our Dow Jones COT report below. Readers should note that we have also updated our Stock Market COT Summary Report. The Dow Jones is currently trading at 23,848. Overnight, the market closed down -933pts (-3.78%) at 23,781. The stock index is above the 20-period MA of 23,814.9 and below the 50-period MA of 24,135.5. The stock market index is trading below the 20-day MA of 24,747.8 and below the 50-day MA of 25,066.8. Where Can I Find Live Prices and Charts for the Dow Jones? We do show indicative Dow Jones spread betting prices, please see above. The CFD chart below also offers readers a helpful look at the US stock market index. The Plus500 chart above is usually based on the Dow Jones futures contract (not the daily market). If you want to check live spread betting prices and charts for the Dow, you may need a financial spread betting account. A spreads account would also let you speculate on short-term daily Dow Jones markets. Users should note that accounts are normally subject to suitability, credit and status checks. Should your application be approved then you can log on and study the charts and the current prices. These are normally free. Having said that, you might get the occasional sales letter or email from the spread trading company. Of course, if you do trade then, before starting, you should note that CFD trading and financial spread trading carry a high degree of risk to your funds and can result in losses that are greater than your initial investment. A host of different time periods e.g. 1 minute, 3 minute, 5 minute, 15 minute, 1 hour, 1 day etc. Helpful overlays e.g. Ichimoku Clouds, Parabolic SAR, EMA, Envelopes etc. Technical indicators e.g. Williams %R, True Strength (TSI), Chaikin's Volatility, Aroon, Forecast Oscillator, Price and Volume Trend, Linear Regression etc. How to spread bet on that American company? advantages of Spread Betting plus..." » read Financial Spreads review. The Dow Jones Industrial Average, often referred to as the Dow, Dow 30 or Dow Jones, is one of the world's most well known markets. 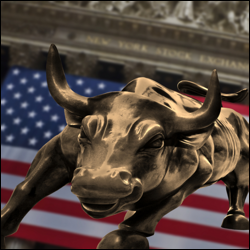 The Dow represents a selection of thirty of the biggest American public companies. It's used to measure the performance of these corporations whilst also reflecting the state of the American economy and, to a degree, the world economy. In spread betting and CFD trading, rather than being called the Dow, Dow Jones or Dow 30 it is often called 'Wall Street' or the 'US 30'. If you want to profit from trading the FTSE 100, the biggest corporations are the most important. Because of the way the FTSE 100 index is weighted, movements in the share prices of the largest corporations affect the FTSE 100 index more than price movements in the shares of smaller companies. However, the Dow Jones Industrial Average is not 'price weighted'. This means that a one point increase or decrease by any share in the index will have the same effect as a one point increase or decrease of any other share. As of April 2012, share prices on the DJIA range from around $8-9 (Bank of America and Alcoa) to almost $210 (IBM). So, a 10% shift in IBM's share price (around $21) would account for a large movement in the Dow Jones index (around 160 points). However, a 10% shift in Bank of America's share price (around $0.90) would only lead to a very small change in the Dow Jones (around 7 points). This isn't because IBM is a bigger corporation, it is because IBM's share price is much higher. The other high value shares to watch out for in the Dow Jones are, as of April 2012, Caterpillar, Chevron and McDonalds. The Dow is based on Wall Street however, not all 30 companies that make up the DJIA are based on America's East coast. So, when the Dow Jones opens for trading, the value is determined only by the relatively few companies that open first. The opening price on the Dow will therefore always be close to the previous day's closing price. As a result, the Dow Jones will never accurately reflect the true opening prices of all its companies. If you are looking to trade on the Dow Jones, you need to be very careful when you open your position. Whilst the FTSE 100 might 'hit the ground running' with all companies opening at the same time, the Dow Jones doesn't work in the same way. Investors should monitor opening and closing prices so they can be confident of opening a position at the right time. One of the advantages of trading the Dow Jones is that there are only 30 corporations in the index. Therefore it's easier to keep an eye on each of the component companies and what's happening to their share price. 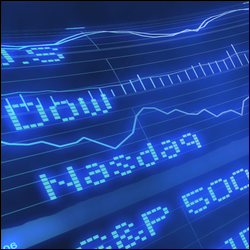 Some traders believe that it is good practice to have a number of shares that you regularly follow. The aim of this is to get to know these shares and become familiar with their price movements. Keeping tabs on all FTSE 100 companies is tough, it's hard to know exactly what is happening to all the shares at any given time. However, watching 30 Dow Jones stocks is more manageable. You can get to know each company's typical share movements and that can help you forecast where the Dow Jones will head next. Advert: Dow Jones Spread Betting, sponsored by FinancialSpreads.com. You can spread bet on the Dow Jones with Financial Spreads. Where Can I Spread Bet on the Dow Jones for Free? Speculating on the stock market always comes with a degree of risk. However, if you would like to use a Demo Account, that allows you to practice spread betting on a wide range of markets, please see below for further details. When you think about which investment option is right for you, don't forget that, in the UK, financial spread betting is currently tax free*. Each of the spread betting companies listed above offer a Test Account which lets users apply a range of trading orders, test new trading ideas and review stock market charts. As with a wide variety of financial markets, investors can spread bet on indices, like the Dow Jones, to either rise or fall. When you spread bet on the Dow Jones index you trade in £x per point, where a point is one point of the index itself. As a result, if you invested £4 per point and the Dow Jones moves 26 points then that would be a difference to your profit/loss of £104. £4 per point x 26 points = £104. This is a Rolling Daily Market which means that there is no set settlement date for this market. You do not have to close your position, should it still be open at the end of the trading day, it simply rolls over to the next trading day. For more information see Rolling Daily Spread Betting. Then you may go long of the market at 13345.0 and invest, for example, £5 per point. Therefore, with this trade you make a profit of £5 for every point that the Dow Jones index moves higher than 13345.0. However, it also means you will lose £5 for every point that the Dow Jones market moves below 13345.0. Considering this from another angle, if you were to buy a spread bet then your P&L is worked out by taking the difference between the final price of the market and the initial price you bought the spread at. You then multiply that price difference by the stake. Therefore, if after a few days the US stock market moved higher then you might think about closing your trade and guaranteeing your profits. Trading the American stock market is not simple. In the above example, you had bet that the US index would rise. Of course, the stock market can fall. If, contrary to your expectations, the Dow Jones fell, then you might decide to close your trade to stop any further losses. Note - Dow Jones Rolling Daily spread quoted as of 11-Sep-12. As with the daily market above, you trade the Dow Futures in £x per point. So if your stake is £5 per point and the Dow moves 27 points then that would make a difference to your profits (or losses) of £135. £5 per point x 27 points = £135. Then you could decide to buy the market at 13414 and risk, for the sake of argument, £2 per point. With this contract you make a gain of £2 for every point that the US index moves higher than 13414. Nevertheless, you will make a loss of £2 for every point that the Dow Jones market goes lower than 13414. Put another way, with spread trading, your profits (or losses) are worked out by taking the difference between the closing price of the market and the price you bought the market at. You then multiply that price difference by the stake. Of course trading the American stock market futures is rarely that straightforward. In the above example, you wanted the Dow to rise. Of course, the stock market index could fall. If the futures had fallen and settled at 13334 on the expiry date, then you would end up losing this trade. Note - Dow Jones December Futures market taken as of 27-Sep-12. You can put a limit on the size of your position to help reduce your potential losses without impacting your upside. You can also employ smaller stake sizes such as £1 per point or $1 per point. Let’s say you spread bet on the Dow to go up, with a £1 per point stake and attach a Stop Loss order to your trade. If the US stock market goes up by 120 points then you would make 120 points x £1 per point = £120. You are also able to trade the markets in Euros and Dollars. If you want to trade in dollars then 120 points x $1 per point = $120. Of course if the market went against you, dropping by say 90 points, then with a £1 stake you would lose 90 points x £1 per point = £90. Obviously this would be a fairly poor start. However, with firms like Financial Spreads you can add a Stop Loss at let's say, 30 points. If you were trading the Dow this would mean that your position would be closed if the US index moved against you by 30 points. Therefore, instead of losing £90, you'd only lose 30 points x £1 per point = £30. However, assuming you correctly predicted the direction of the market, your upside would still be £120. Note that Stop Losses are not guaranteed, if a market slips then your Stop Loss is closed out at the next traded price. If you don’t want that risk then you can use a Guaranteed Stop Loss, these are guaranteed to close your trade even if the underlying market slips (gaps). A number of firms like Financial Spreads, InterTrader and Capital Spreads automatically apply a Stop Loss to every trade. You can upgrade to a Guaranteed Stop Loss but that normally comes at a small premium (normally a wider spread). German stock market spread betting guide with a price comparison, daily analysis, live charts & prices for the DAX 30, MDAX and German shares. Plus where to spread bet on the Frankfurt stock market commission-free and... » read guide. 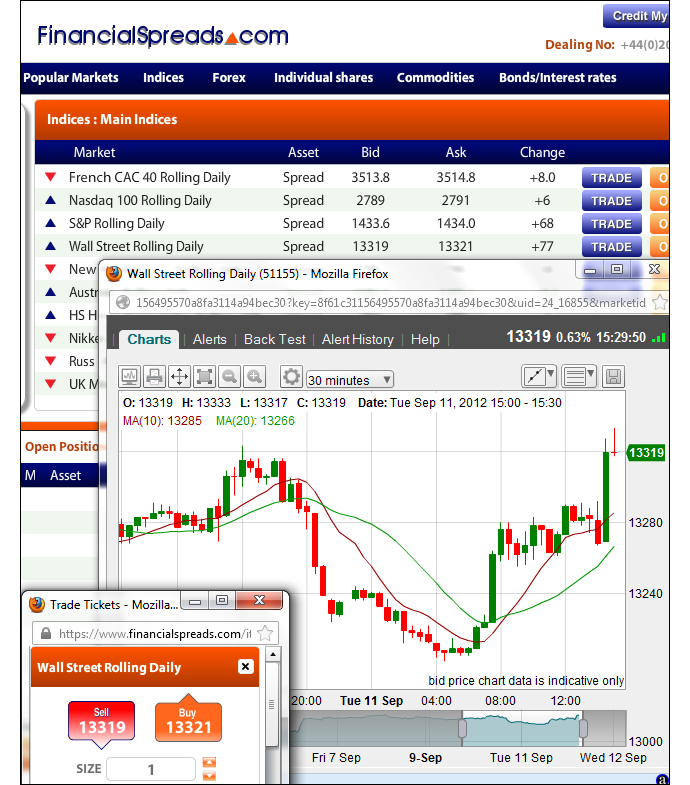 Dow Jones financial spread betting guide with a price comparison and daily analysis. Plus live Dow Jones charts & prices, where to spread bet on the stock market index commission-free and... » read from top.